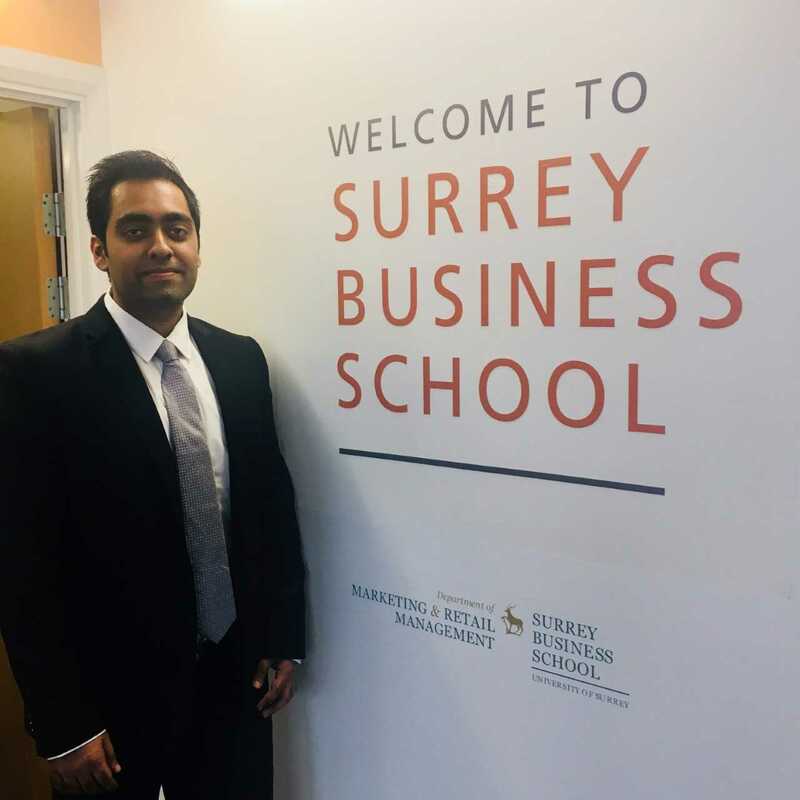 My name is Sameer Piracha, currently pursuing my MBA post-graduation at Surrey. Brought up in Dubai with 5 years of experience in the Banking Industry and having done my undergrad (BBA) in Management from the American University in Dubai. My choice was London compared to the U.S / Canada, because of its ease in transportation around and lively environment which is very similar to Dubai. 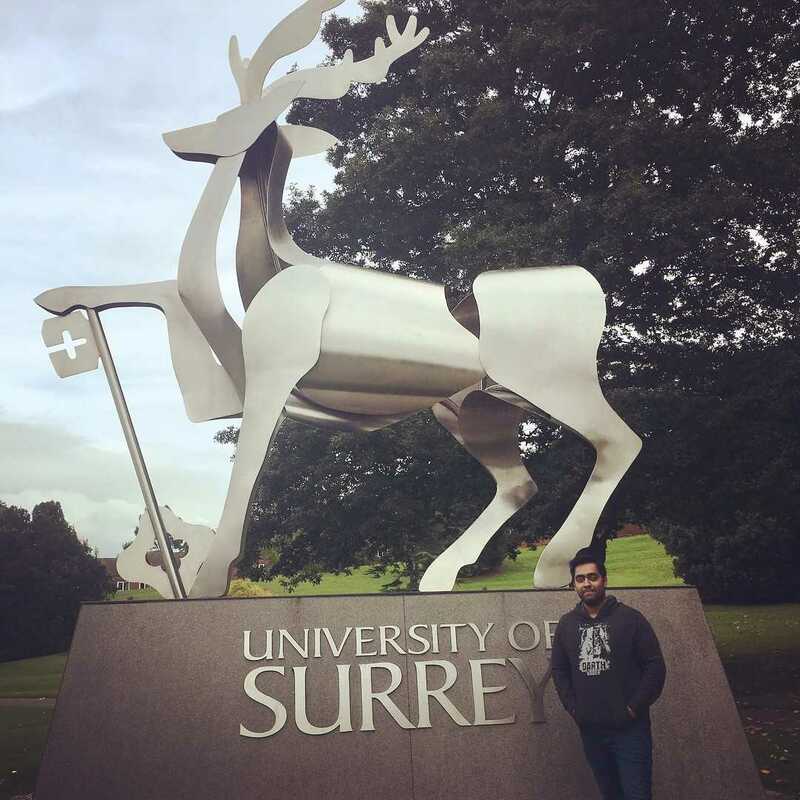 Chose this University over others because of the Reputation, Campus facilities and MBA team which gave me regular details of the course and followed up on me from Dubai to Surrey. University of Surrey is a built campus for students with all the facilities available for daily routines to be comfortable to do, massive in size and great mix of students in accommodation to help you blend in immediately. Train station is in walking distance, making the travel to Central London about 30 minutes, which helps me to roam around and go to particular big events at all times. Postgraduate from the UK is well recognised back in Dubai, giving immediate higher role opportunities and Surrey being Ranked well on the table with AMBA accreditation gives students the opportunity to excel well beyond boundaries. The university has Student Enterprise Business schemes to develop Startups and a great five level Library with all the tools to study better. Many part-time jobs are available for those coming under Tier 4 visa if required to do so during your course, student discounts cards available for better shopping, and cheap yearly bus cards for fast travel. The course got me straight into studies with loads of modules and brilliant professors, with precise organised programs, career fairs, International Companies visits and morning business talks. Masters is very intensive, but the weekends gives me the time to enjoy in near by events held by the Student Union, inbuilt Rubix club on campus, Odeon Cinema and huge Friray Mall for shopping which is within ten minutes walking distance from StagHill Campus. Many society clubs available to keep you intact with your culture and huge communities to keep you socially active. My journey has been of 2 months only so far with Surrey, but I am sure this year of experience will only get better ahead to achieve my career goals. I am making the most of it with my role as Student Ambassador for International Recruitment and hope prospect students come to Surrey as it would be a great choice to come, just like how I did.